Join the Wheely Bike Tours family and discover Shanghai in a unique way! Hongkou is Shanghai's former international settlement, which gives this district its distinct look and atmosphere. A big part of this tour is spent looking up and being amazed at great, untouched architecture. On this tour, we will visit a herb market, where you can find a cure for every ailment, from digestion problems to impotence. Furthermore, wheely will visit a former slaughterhouse together with you and spend some time in Duolun Road – where poets, writers, and revolutionaries used to gather and get their inspiration. There is also a chance to visit the Jewish synagogue and learn more about the history of Jewish settlement in Shanghai, which is truly a story you have never heard before. Throughout this whole tour, we will ride through old neighbourhoods, and at the same time, pass giant construction sites – to show you a city undergoing constant change. The Hongkou tour is definitely recommended for those who would like to see a new side of the city. It's the longest of our tours but is absolutely worth the trek! Wheely Bike Tours has over 9 years of experience in guided bike tours with great knowledge of the city and culture of Shanghai. Our team of trained guides will give you a unique view of Shanghai – from a bike. They know all there is to know about the city, including the interesting history and the way people spend their daily lives in this vast metropolis. Wheely Bike Tours offers a range of tours from early in the morning to late in the evening and everything in between, each tour with its own uniqueness. We are more than flexible in arranging a custom-made tour as well. 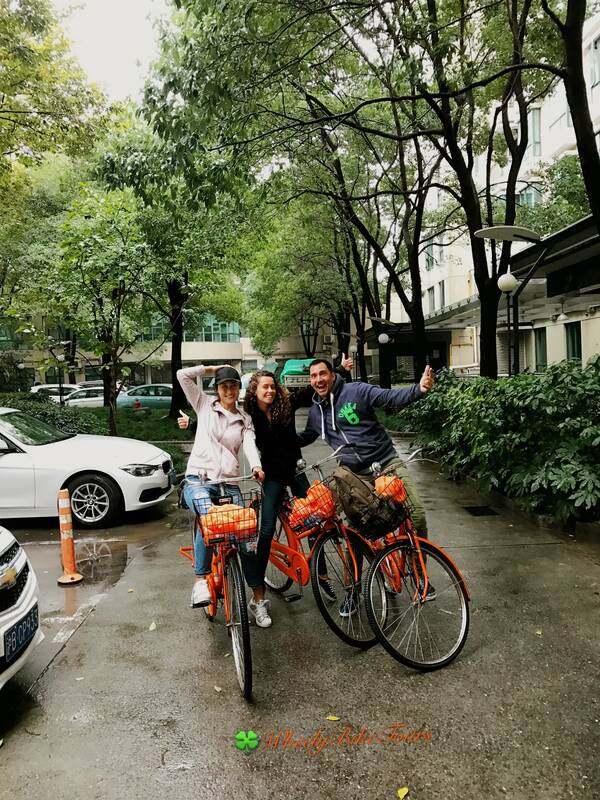 Wheely Bike Tours offers tours that show the real Shanghai including its history, current events, development, and facts you have never heard of before, all combined in a very green initiative. Would you like to know more about our tours? Click here to see what we have to offer! Tours are available in English, Italian, French, and Spanish. We get off the bike and walk around regularly. Also, we bike around at a leisurely pace. Children are allowed to join the tour if they are accompanied by an adult. We have 2 tandems available for our little guests. Our bike tours requires a minimum of 2 people. If you are by yourself, you can either join another group, or have a private tour. In the case for a private tour, we will charge you the price for 2 people.